The early days of your new journey can be stressful… You have to think about not drinking any alcohol, deal with the immediate after-effects of that decision, and think about the future. 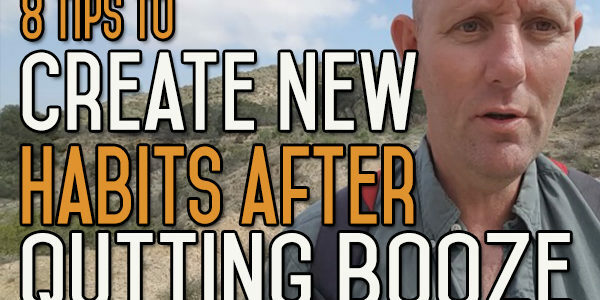 Here’s a few tips on how to create, or at least begin the process of creating, some new habits that will benefit you in the rest of your life. Today I wanted to talk about a few tips on how to establish new habits especially in those early few days after quitting alcohol. The first tip is to keep things as simple as possible. Simplicity is your friend in this thing. Once you complicate things and you try to go after too much too soon, it can start to seem overwhelming and there is a risk you will pull out and revert back to your old life, because that is the easiest thing to do. Simplicity is the key, try and keep things as simple as possible. 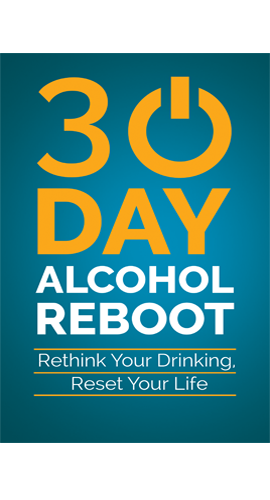 I think once you’ve completed thirty days without drinking, you’ve almost got a certain amount of automaticity into the new habits and that you’ve deconstructed the old habit enough to allow the new neural pathways to start forming in your brain. A period of thirty days without alcohol also gives you a lot of experience, it shows you what it is like to be without alcohol for full four weeks, full four weekends and many just don’t have that experience in the beginning. 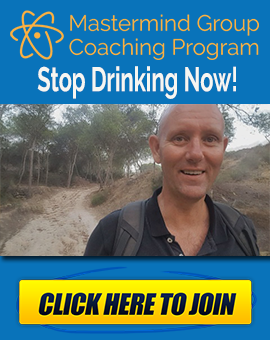 When people think about quitting drinking alcohol, most people think of not drinking ever again, for a life time, forever and that’s overwhelming in itself. So, it’s dealing with those situations first and 30 days is a good time frame for assessing how well you are doing and then when you get to the thirty days, to can commit to another thirty or sixty days or whatever it is. Experiment with a whole load of things in your life that you want to try. You don’t know whether or not you like something until you try it. Try a lot of different things. Try and give them a chance for at least a week or thirty days if you can. If you can’t, well some things you are going to know on the first try whether you like it or not, whether they suit you or not and whether you can bring them into your life or not. So try and experiment as much as you can with different ways of doing things and different ways of looking at things. The fourth thing is to look at the needs that used to be met through you drinking alcohol. So what were you drinking alcohol for? What where the reasons for you drinking? Be honest with yourself, you don’t have to tell anybody else, but consider why you drink in the first place. Was it because you wanted to relax and this is how you used to relax? Was it because you needed it to sleep and every time you tried to sleep before you couldn’t go to sleep if you didn’t drink? These are all your basic needs, so try and break them down into categories and you may well have a few different categories of you needs that were being satisfied through alcohol. Now you have to look at those things and find alternatives. There are plenty of much more realistic and healthy alternatives to relaxation, to sleep, to everything that you can think of that alcohol used to give you. Alcohol is a substitute for most things in life, but it’s an easy substitute to make because you get an instant gratification and most people would prefer to have the instant gratification and not think about the long term consequences. So just look at those needs that you would otherwise be meeting through drinking alcohol. You need to push yourself outside of your comfort zone, not only to quit your drinking but to put yourself in other areas where you are going to find new activities and new ways of thinking in your life. These are not natural and may not come to you very easily but you will have to put up that feeling of feeling awkward and out of place they you may experience in a lot of different areas. It’s like when you go into the class room for the first time and there are all these other students there and you are feeling totally vulnerable, well in most situations so are the other people there. You’re new, they’re new, everything is new and that’s going to happen with most new situations in life. As a race we are wired to dislike things that are new because new always signifies danger. It might not actually be dangerous but you are better starting out with that premise that the new is dangerous if you are in the wild. Often something that was new or out of place did signify danger then, it could mean that there was someone dangerous which would mean life or death. Of course we don’t have that nowadays but it’s still wired into us to think that way. So we have to accept the discomfort in the early days as just being part of the course. Don’t worry about perfection and don’t worry about mistakes, it’s part of the process. It’s part of this whole, you getting from A to B to where you are now as a drinker to where you want to be as a non drinker. 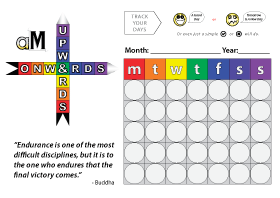 From where you are now without the new habit to having the habit installed in sixty or ninety or 120 days or whatever it is down the road that it takes to get that habit installed. So you are going to make mistakes don’t look for perfection, because it’s not there, you are not going to find it. You can look for perfection once you’ve got the habit established and you are in there and not thinking about alcohol any more. When you are at that stage you can push to start creating perfection in the things that you do, but for now just be happy enough to plod along and take step by step, by step, actions going forwards. As I said earlier on as well, understand your reasons why you are doing this and gets those firmly inside your mind. Why is it that you want to quit drinking? If it’s for health, what specifically in your health? What is it in your life that you are doing this for? Get as specific as you can. If it is for your relationship, why specifically? Who specifically? Why specifically are you doing it for them? What is it you want to achieve out of doing this? It’s important to understand your reasons why, because that’s the thing that first of all gives you the inspiration to do it. These people, or your health or your wealth or whatever it is that motivates you to get going and when you get that initial momentum that motivation allows you to persist. You can keep looking back on these things. The final thing is to write these things down. Write down your thoughts about what you are doing, your triggers. Why you are doing this? Everything that you can think of. Try and make a daily journey and write down as much information as you can about these things. It not only gets the information out of your head and onto paper, it also gives you a chance to clarify things and focus on one individual aspect of this. For instance if you write down your triggers – one thought triggers another thought, which triggers another thought and before you know it you can have a whole list of triggers that you didn’t even think were triggering you to drink alcohol, but once you started writing down your triggers and you started thinking and focusing on them, they were formalised. It’s just a great tool specially for your reasons, because you write your reasons down, take this sheet of paper, fold it up and stick it in your pocket and any time that you feel that you are in need of inspiration you can pull out this sheet of paper out of your pocket and read through. That is the reason why I say specifically, be as specific as you can, nobody else is going to see it, nobody else needs to see it but you need to have something that is going to jump out of the paper at you. You’re going to say this is the reason why I’m doing this. If you have any questions at all or suggestions of topics you see, give us a shout, either here on the website or on YouTube. 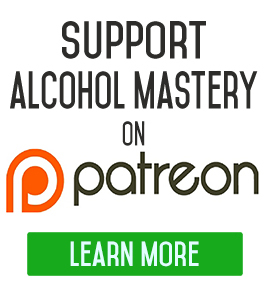 Send me an email, kevin@alcoholmastery.com and if you want any help, come on over to the website, we’ve got so many videos over there now, we’ve got so many different step by step courses as well that you can take advantage of. Most of them are free, some are paid for, but they’re all there and at your disposal, you can get it immediately. Hopefully you will think it’s sensible help. I think from my perspective, just to look at things from the perspective of – “What I can do for myself?” or “What you can do for yourself?” and that’s what I am trying to teach through these whole things. You can listen to me as much as you want, you can listen to other people as much as you want, but if you don’t make the effort yourself to do these things then it’s all for nothing, you won’t achieve anything. Until next time, stay safe!